Designed and engineered 100% by Volkswagen, the new Crafter is available with the ZF 8-speed automatic transmission as an option for the first time. 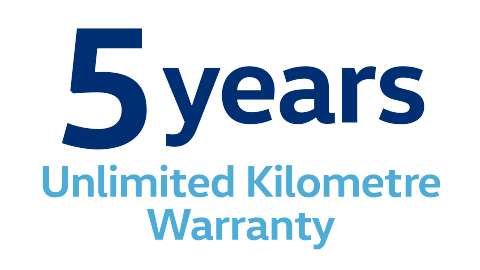 Developed in collaboration with our diverse customer group and packed with cutting-edge safety technology, the result is an award-winning van with a number of class leading features. The new Crafter with TD410 engine is available in either the optional ZF 8-speed automatic transmission or 6-speed manual transmission with two wheelbases and three roof heights to choose from. 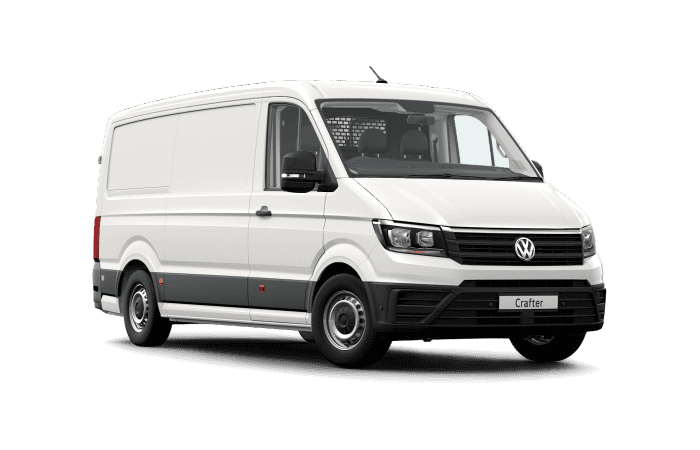 The new Crafter has been designed and engineered 100% by Volkswagen and is quickly becoming the new benchmark in vans for its smarts, practicality, comfort, safety, and engineering. In addition, the new Crafter is constructed in a new, purpose-built factory to ensure the highest standards of build quality and finish. 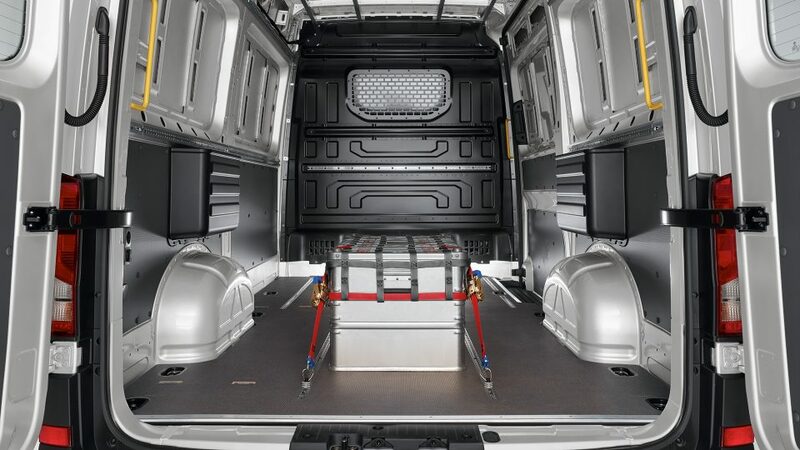 The new Crafter Van comes in two different wheelbases, each offering a different standard vehicle height. The medium wheelbase (3,450mm) has a total vehicle length of 5,986mm and an external height of 2,355mm or optionally available 2,590mm. 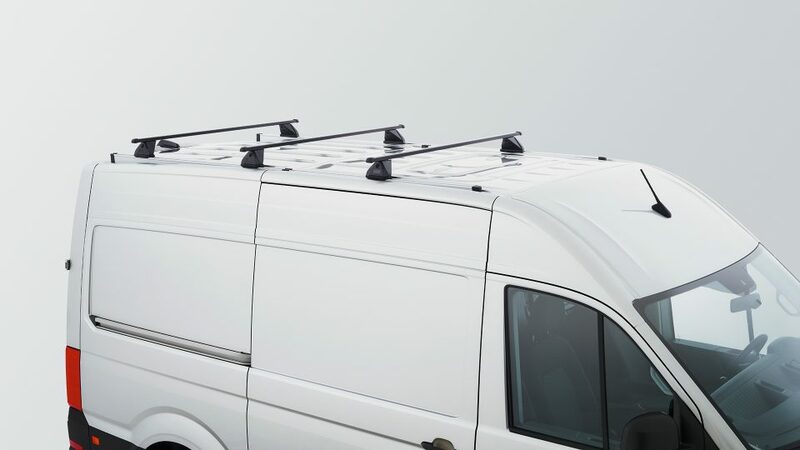 The long wheelbase (4,490mm) has a total vehicle length of 6,836 mm, with the standard height roof of 2,590mm which can be changed to 2,798mm with the super-high roof. 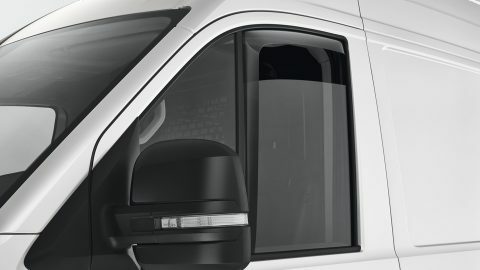 The roomy new Crafter’s wide sliding doors open up to 1,311mm, with a load compartment height of up to 1,916mm. 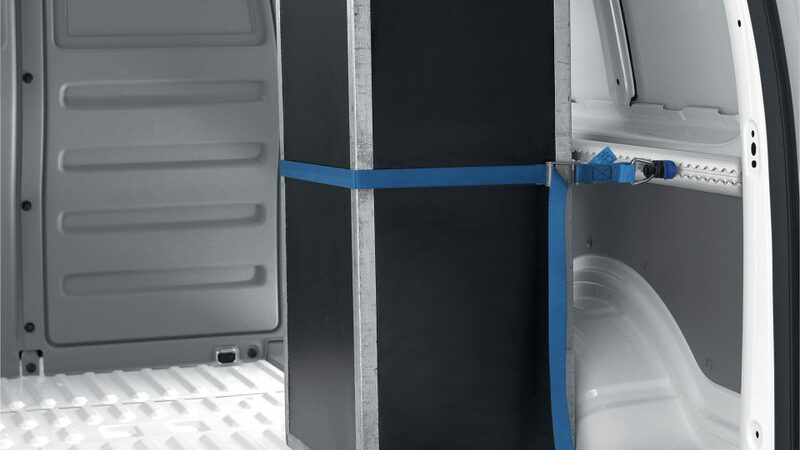 The Long wheelbase models have the space to accommodate six Euro pallets, and the medium wheelbase can handle four pallets. 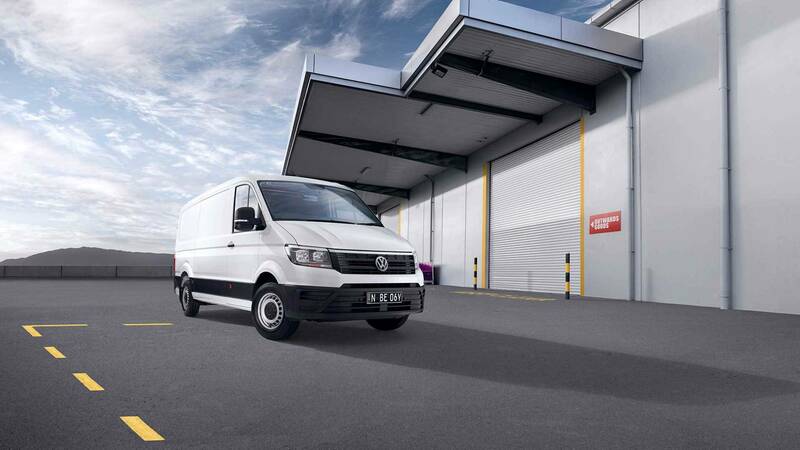 The new Crafter offers a load capacity of 9.9m3, with a 1,417kg payload (MWB standard roof TDI40 manual)†, or 14.4m3 with a 1,274 kg payload (LWB high roof TDI410 manual)†, while the wide sliding door on the passenger’s side easily allows access for a pallet. It has rear barn doors opening 180 degrees for greater convenience when loading, which can up upgraded to extend 270 degrees. 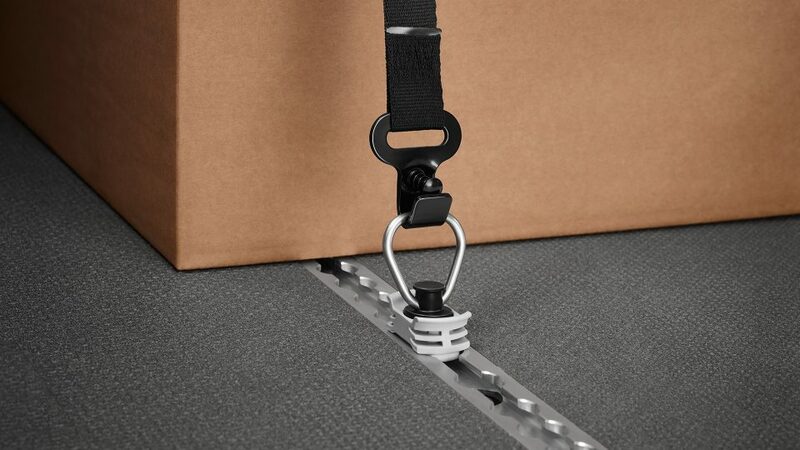 With the 10 lashing rings recessed into the floor in a medium wheelbase and 12 rings in a long wheelbase you can trust that your load is securely stowed in the new Crafter. Defrosting fridge or boxy rocket? The Crafter's diesel engine is designed specifically for keeping your running costs down. 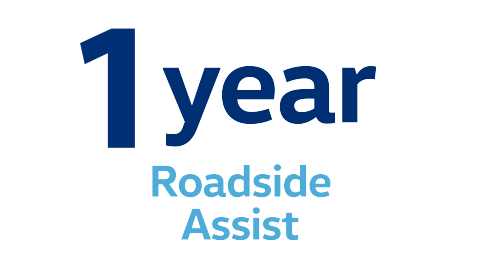 Even with high mileage you can expect efficiency and reliability from the engine. 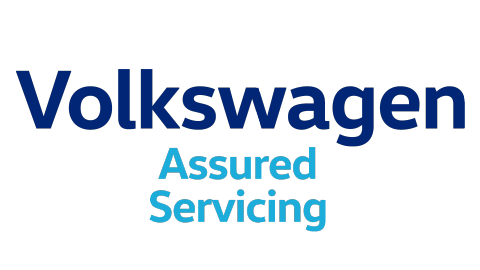 The perfect match for the TDI410 is a choice of an 8-speed automatic gearbox with a torque converter, or a 6-speed manual gearbox with the new front-wheel drive. A real change of gears. For the first time ever in Australia, you can get the Crafter with the optional proven ZF 8-speed automatic transmission. This will help you make light work of all traffic conditions. 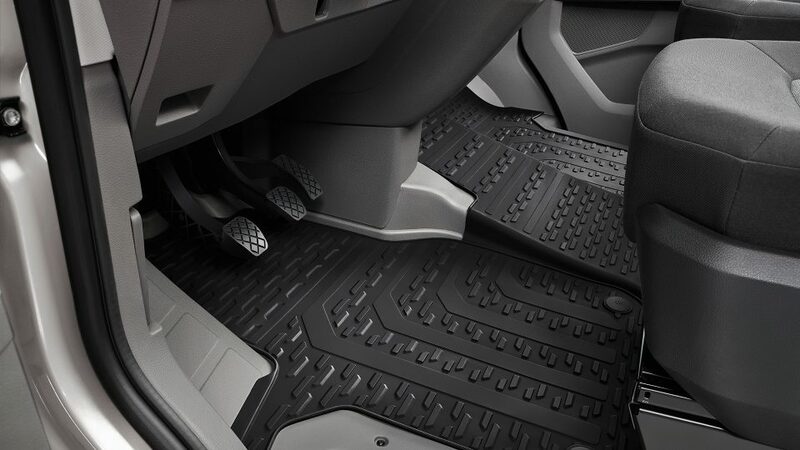 Take a closer look at the information for the Volkswagen The New Crafter.